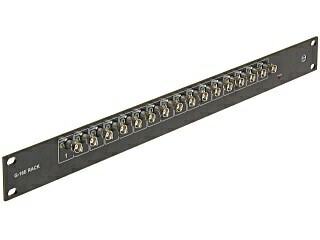 The G-16E-RACK is designed to comfortable connect and distribute 16 CCTV coaxial cables. Connected together two power sockets are used to power the LED indicators. No more hanging down wires in the RACK cabinet. Take care about your wires arrangement.